I am participating in the Blogging from A to Z Challenge, and my theme this year is classical music. Check out the list of other participants by clicking here! O is for Orff’s O Fortuna. Carl Orff was a German composer who lived from 1895 to 1982. Today’s featured video is “O Fortuna” from Carl Orff’s Carmina Burana performed by André Rieu and the Johann Strauss Orchestra. 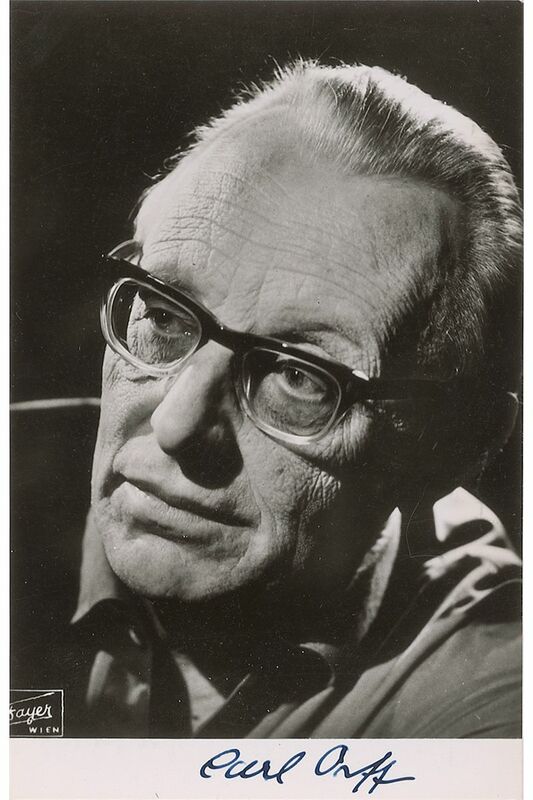 · Carl Orff studied piano, organ, and cello as a child, but he figured out that he preferred to compose music than to perform it. He wrote and composed music for puppet shows that he staged for his family. · As a teenager, he taught himself the art of composition by studying classical masterworks. · Orff served in the German Army during World War I and nearly died in a trench cave-in. · Carmina Burana is derived from a series of songs and poems from the 11th to 13th centuries that Carl Orff set to music in a scenic cantata. · Carmina Burana was so well-received that Orff told his publishers, “Everything I have written to date, and which you have, unfortunately, published, can be destroyed. With Carmina Burana my collected works begin.” He did rewrite some of his earlier pieces to his liking and some pieces were re-released. 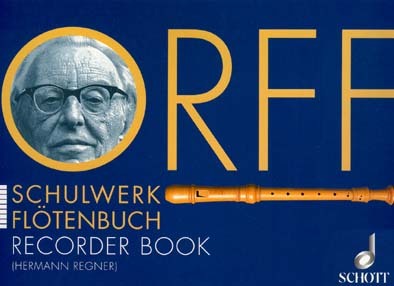 · Carl Orff was a leading developer in children’s music education with his Orff Schulwerk approach. I remember seeing his name in some of my teacher education textbooks in college. · “O Fortuna” is widely used in commercials, movies and TV shows. Notable appearances include, part of an Old Spice ad campaign in the 1970s and an opening theme in The X Factor. On Saturday, I asked: Who played Niccolò Paganini in The Devil’s Violinist? The answer is violinist David Garrett. For this challenge, I’m keeping a playlist of the videos I’m using plus some extras for anyone who wants to hear more. I will update with the latest letter each day. Today I found another “O” composer with a popular piece, Jacques Offenbach, and the video I added is his “Infernal Galop” from Orpheus in the Underworld, which you might also know as the Can-Can. It is performed by the Shenzhen Symphony Orchestra with Conductor, Amir Shiff. Do you remember hearing either of these pieces by Orff and Offenbach before? Have you heard of the Orff approach for children's music education? I don't remember hearing of this composer, but he sure had a long and eventful life. Tamara, Orff was sort of a one-hit wonder in classical music. I have heard of the Orff approach for children's music education. My mother in law was a special education teacher; she was very involved with Orff for her students. She had great success with it when teaching her kids music. They loved the method, etc. She was also involved a lot with the organization that would put on workshops for it, etc. Betty, that's neat about your mother-in-law. My kindergarten students had a separate music class when I taught, so I never got to try the Orff approach. First I love Andre Rieu!!!! I saw him twice in Toronto and it was a real event!! I also love this piece so much. I got. True appreciation for it when I watched the film Excalibur. I also saw a silent film, Passion of Joan of Arc(amazing) and Chorus Niagara sung this with the film also. I grew up knowing Orpheus In the Underworld and always loved it since I was a child. Birgit, Andre Rieu certainly looks enthusiastic in his conducting :) Both of these pieces work well for movie scenes. I don't remember hearing of him, and I was in band in junior high. Maybe I'm just too old! Stephanie, I don't think Orff is that well-known for composing, he is more widely known among educators. That's cool developing music for children was important to him. Alex, I agree, and his approach to teaching music is very useful. I think the Orff piece has been in every movie lately. At least the trailers. Very driving. My high school marching band did the Can-Can my freshman year. That was an interesting half time show.